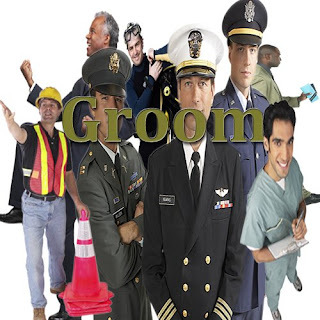 Military Wedding Ceremony - Southern California Wedding Officiants- The Clergy Network - Whether a full military wedding ceremony or a modified version, an off-the-base wedding ceremony can be customized. TCN's military wedding for this weekend was written with both civilian and military ettiquette in mind. The bride (civilian) and the groom (active military), happily worked with a TCN wedding officiator to construct just the right blend of two worlds. Clothing, music, processional and recessional protocol, etc., were a few of the many considerations that shaped their custom written Clergy Network wedding ceremony and vows.